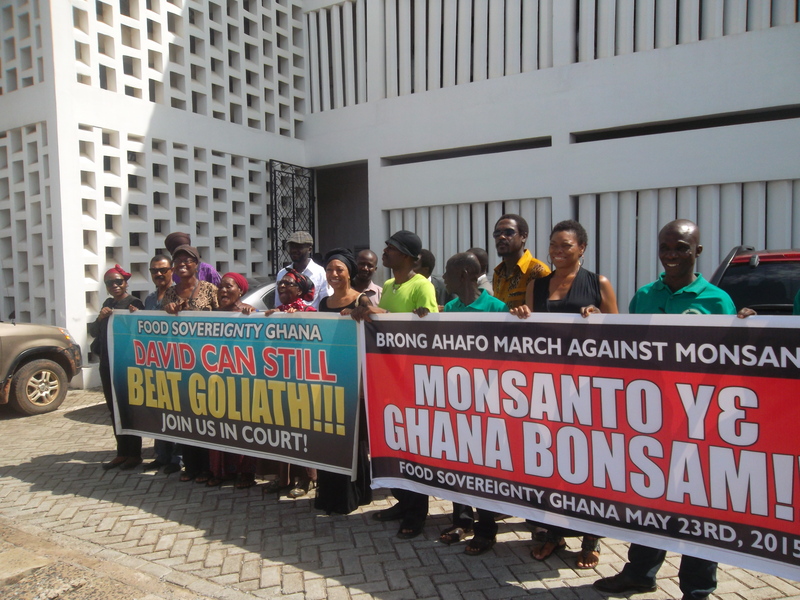 The case in which Food Sovereignty Ghana is seeking an injunction of the commercial release of Bt cowpeas and GM rice in Ghana is scheduled to be heard today at the Accra High Court today, 8th July, 2015. The FSG has been joined in the suit which was filed with the National Biosafety Committee, The Ministry of Agriculture, the Attorney-General’s Department, as well as the newly inaugurated Natioanal Biosafety Authority, as the Defendants, has since been joined by the Convention People’s Party and Kanyan Akuafo Kuo, a farmer’s group from Goaso. It is the contention of FSG that Modern Biotechnology is a potent and novel technology that presents unique risks. It is in recognition of this that measures have been put in place to ensure the safe handling, transport, and use of genetically modified organisms resulting from Modern Biotechnology that may have adverse effects on biological diversity, taking into accounts risks to human health. The non-respect of these measures could lead to catastrophic consequences. FSG is claiming that the Cartagena Protocol on Biosafety, of which Ghana is a signatory, the Biosafety Act, 2011, Act 831, as well as the Legislative Instrument 1887, which established the National Biosafety Committee (NBC), have not been respected as regards the authorization of confined field trials and the conditions for a commercial release of GM crops, as it relates to the threats by SARI “to embark on the multiplication of seeds of the Bt cowpea in commercial quantities” as early as this year, “for distribution to farmers in the three northern regions“. At the last court hearing, the judge directed that the original writ be amended to reflect all new parties on board within 14 days. 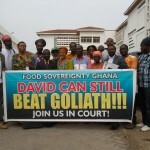 The injunction on the release of bt cowpeas and rice remains effective and the case was adjourned to July 8 at 9am.